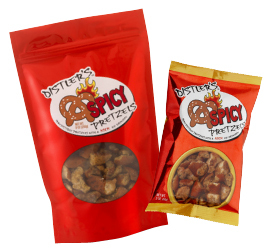 Testimonials - Distler's™ : Pretzels with a Kick | WOW Ranch Rocks! They are all delicious and made with simple natural ingredients. My favorite is the Maple Pretzels, they are not too sweet-but are a nice combination with the salt of the pretzels made with real Vermont maple syrup. I found that my hand was in the bowl of spicy pretzels all night long. I like Distler's Pretzels Mara-Thons, which is when Mara gives me bags and I eat them all up! My favorite flavor is Maple, but I like all of them. They are truly a veritable plethora of culinary delights. Also, I like the idea with the cayenne pepper mixed with the other flavor. Do that, please. Excellent pretzels!! They are making our road trip downright "Spicy". Wishing we had purchased several bags! This photo was taken last summer shortly after a patrol in Helmand Province, Afghanistan. 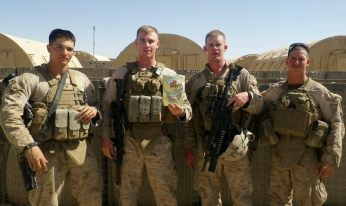 Being the only Vermonter in the Platoon, I soon got everyone hooked on our states maple products. After four weeks of eating the same MREs your Maple Distler Pretzels were quite the savior! Thought I should share! Excellent! Just found them in a machine at the school where I work. I am also a pastor in St. Albans, and will be recommending them to my congregation!!! Keep up the good work and may God continue to bless you in your endeavors. My extended family has a new favorite pretzel snack, Distler's Ranch and Maple. They are not overwhelming like other brands, there's just the right amount of flavor. Yes, we received the new pretzels and ate both bags the first day. They are just as we remembered them from our trip!! Hey Alec, I have been watching you and subsequently been eating your pretzels for years. I really love the spicy varieties over my salads like croutons or right out of the bag. Hi my name is Avanti! I am 11 years old. My mom went to a Rachel Ray show and she got your spicy pretzals as the snack of the day. I tried them and I loved them!!!! Ever since then we have been searching for them. Would you be kind enough to tell me if there is any place in the around or in New Jersey Somerset 08873. Thank YOU!!!!!!!!!!!!!!!!!! !